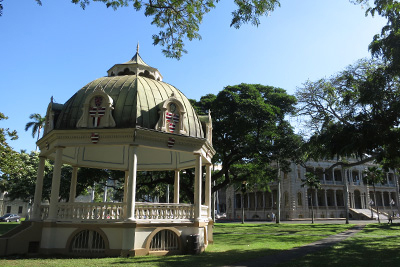 Planning a trip to Iolani Palace? Book your Tickets ahead of time. Iolani Palace is a living restoration of a proud Hawaiian national identity and is recognized as the spiritual and physical multicultural epicenter of Hawaii. 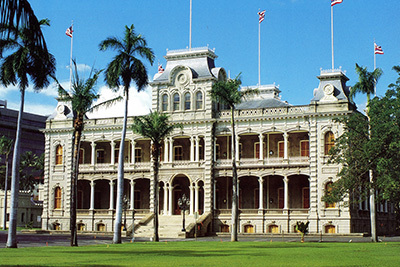 Built in 1882 by King Kalakaua, Iolani Palace was the home of Hawaii’s last reigning monarchs and served as the official royal residence and the residence of the Kingdom’s political and social life until the overthrow of the monarchy in 1893. Registered as a National Historic Landmark since 1962 and the only official royal residence in the United States, the Palace is one of the most recognizable buildings in Hawaii. Meticulously restored to its former grandeur, Iolani Palace tells of a time when their Majesties, King Kalakaua and his sister and successor, Queen Liliuokalani walked the grand halls. Iolani Palace has been meticulously restored to its former grandeur, featuring original palace furnishings and artifacts that have been recovered, restored and replicated. Open to the public for guided tours, the first floor consists of the public reception areas – the Grand Hall, State Dining Room, Blue Room, and Throne Room – while the second floors showcase the private suites, including the King and Queen’s suites, Music Room, and the Imprisonment Room. While the Palace building is of great significance, the land around the Palace stretches back to antiquity and is thought to have been the site of an ancient heiau (place of worship). In 1845, King Kamehmeha III established his official residence on this site, which served the first five Hawaiian kings until its demolition in 1874. It was replaced by a larger and more modern palace was completed in 1882. 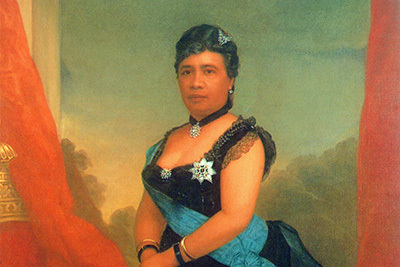 Iolani Palace tells the story of a time in Hawaiian history when their Majesties, King Kalakaua and his sister and successor, Queen Liliuokalani walked the halls. The Palace holds beautiful memories of grand balls and public hula performances, along with painful ones of Liliuokalani’s imprisonment and eventual overthrow. Following the overthrow, the Palace served as the Capitol for almost 80 years until it was vacated and restored in the 1970s. Iolani Palace is open Monday-Saturday from 9 a.m. to 4 p.m. The ticket office, located in the Iolani Barracks, is open from 8:30 a.m. to 3:45 p.m. To make reservations, call 808-522-0832, or book online now. Become a member of The Friends of Iolani Palace and support our mission to restore, preserve, and protect this unique treasure. 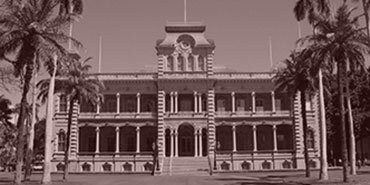 Donations are vital to support the ongoing work of The Friends of Iolani Palace and to carry forward one of the most important legacies of the Hawaiian monarchy.